I am excited to announce that two western wear commercials I directed and DP’d for clothing brand Cinch western wear recently won 2017 Telly Awards. The Telly Awards is one of the premier advertising awards, with over 12,000 entries from around the world. 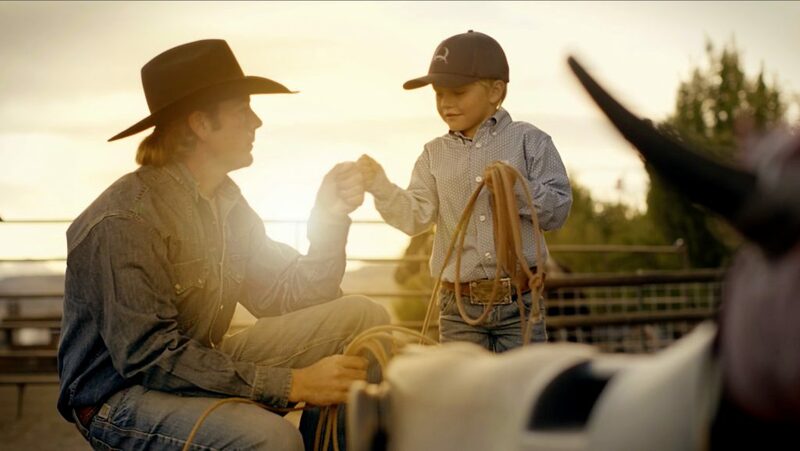 The first spot, “Practice”, features world champion team roper cowboy Jade Corkill and his young son Colby. The commercial celebrates the ideals of passion and constant practice as the keys to success in life. We filmed Jade at the Ellensburg Rodeo in Washington. We also shot with Jade and his son Colby at the ranch where they were staying during the rodeo week, filming lifestyle and training moments with them. It was a real joy to get to know this world-class athlete and his beautiful family during our weekend in Ellensberg, Washington! 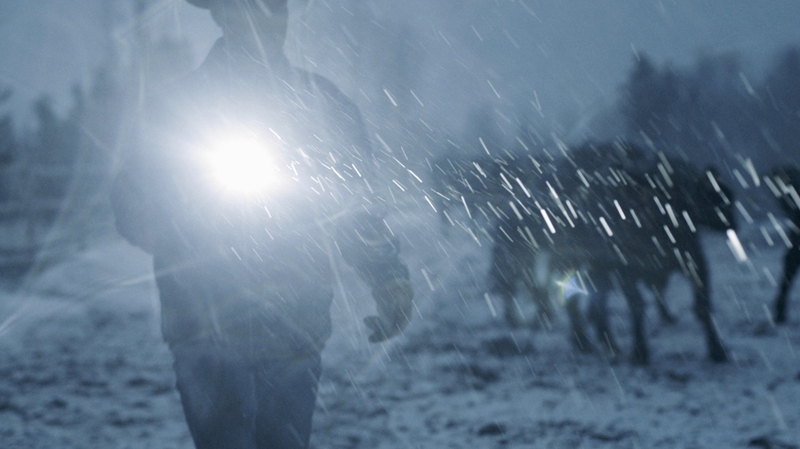 The second spot, “Out Here” celebrates real deal ranchers during the height of calving season in the Rocky Mountains. We scouted ranches throughout my home state of Colorado for this commercial, and landed on a hardworking three-generation family, featuring Brad and Niki Day. The Day’s two daughters, and Niki’s dad, also work the ranch every day, and keep watch on the cows and calves during calving season through the March snowstorms. A screenshot from our Cinch Jeans commercial “Out Here” featuring a three-generation ranching family, which won a 2017 Telly Award. Being a director and photographer on Western ranches with authentic cowboys and cowgirls like Brad and Niki is one of the highlights of my job. With every project, I get to travel to inspiring locations and learn about life in a way that I simply wouldn’t have the chance to see otherwise. Over the years I’ve had the honor of working for many western wear brands including Stetson, Wrangler, Ariat, Cabela’s and Cinch. I love filming the iconic cowboys and cowgirls and deeply appreciate the hard-working and integrity ethos that is the cornerstone of the western lifestyle. Big thanks to creative director Ryan Johnson with Defy Them All agency for the outstanding creative direction and partnership, and Jill Gechter and team at Cinch for supporting us so deeply – we truly loved these collaborations. And so many heartfelt thank-yous to our crew on each shoot and the post-production teams; your talented work here is what makes these spots shine. More of my Western Workwear and Industrial Clothing images can be found here.